Some problems are embarrassing; other problems are not. A fear of flying might be more embarrassing than a smoking habit, just like a drug addiction might be more shameful than the occasional heavy drinker. Of course, no problem should be embarrassing, but many sufferers still feel shame regardless. One of the most embarrassing problems is dyslexia. Jumbled thoughts, mental slips, slower learning process and other effects of dyslexia often lead to the occasional embarrassment. Hypnosis cannot cure dyslexia, just in the same way it can’t cure cancer, HIV, or other medical afflictions. What hypnosis can do is treat the symptoms of these problems, and no symptoms are easier to treat with hypnosis than those of dyslexia. The low self-esteem, anxiety, depression, social phobias, emotional side-effects, and intellectual inhibition that come as a result of dyslexia are all treatable with hypnosis. So while you still might have dyslexia, how you wrangle it will be completely different. And who knows? 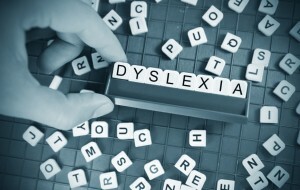 Maybe reduced side-effects and increased confidence will lessen the effects of dyslexia itself! Call Gluck Solutions to find out more about the science of neuroplasticity and how it can help you and your dyslexia. This entry was posted in hypnosis nyc and tagged anxiety, dyslexia, stress by Dr. Errol Gluck. Bookmark the permalink.